Let's talk about powder bathrooms for a minute. 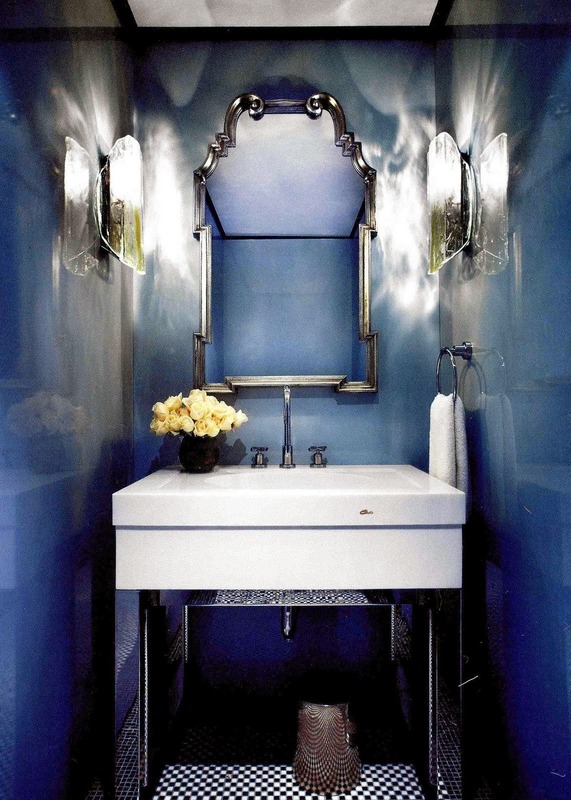 It's interesting how our mind tells us that small rooms should use light colors because it will open and brighten up the space, however, this rule should be broken when we are thinking about powder bathrooms. The powder bathroom is one room in the house which should be dramatic. 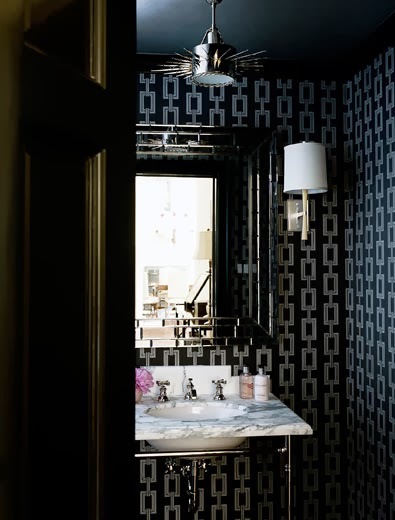 Usually most powder rooms are tiny so this is our chance to play with dramatic colors, exciting lights and over the top accessories. Why not make our powder bathrooms POP so that when someone uses the room, they will want to admire the space and enjoy their time there, despite the size. 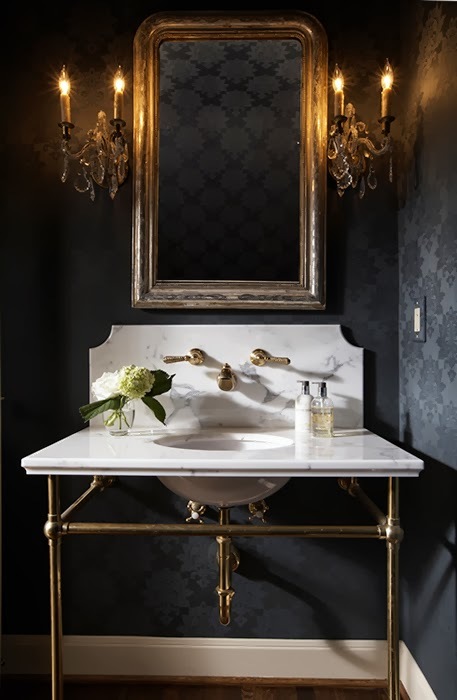 We are currently searching for ideas to finish off our powder room and these images just got me so excited to get started on this next project. 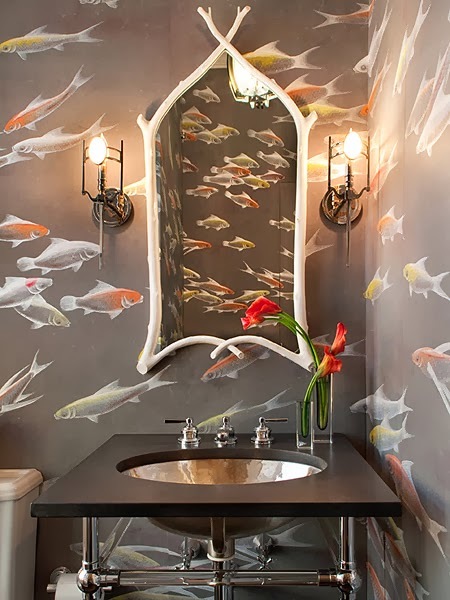 Now we just have to figure out how to combine beautiful koi wallpaper with gorgeous dark paint, is that even possible? Are you more of a dark, light, wallpapered, panelled or textured kind of person? Would you use gold, silver, brass or copper hardware? Would you stick to classic accessories that never go out of style or would you experiment with unlikely pieces that work in the space?